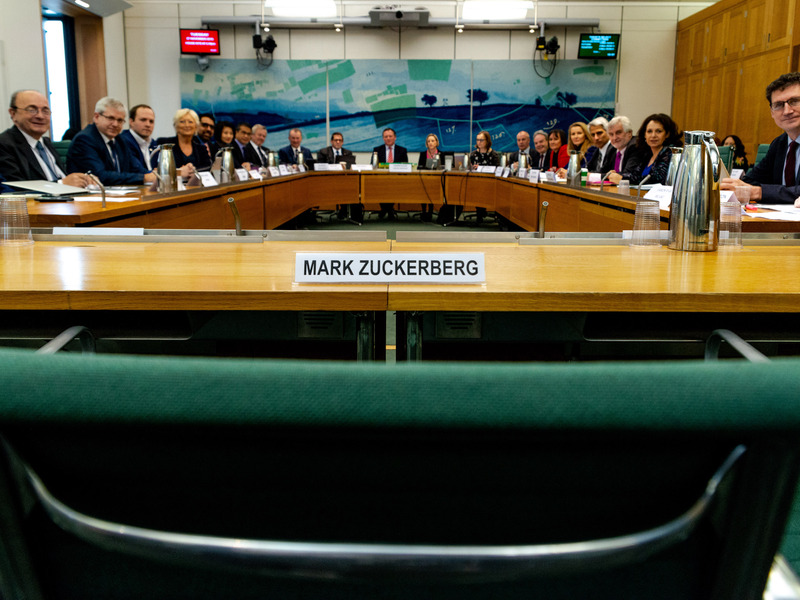 Lawmakers from nine countries tore into Facebook on Tuesday during an international committee hearing in Westminster, London. Facebook sent its policy chief, Richard Allan, to field questions, but the politicians were more interested in savaging Mark Zuckerberg for failing to show up. Lawmakers from Britain, Canada, and Argentina went for the jugular, with one saying “frat-boy billionaires from California” were destroying democracy. Lawmakers from nine countries tore into Facebook on Tuesday after CEO Mark Zuckerberg failed to attend an international committee hearing in Westminster, London. Instead, Facebook sent its policy chief, Richard Allan, who bore the brunt of the committee’s fury during the gruelling 165-minute hearing while acknowledging that Zuckerberg’s no-show was not a good look. 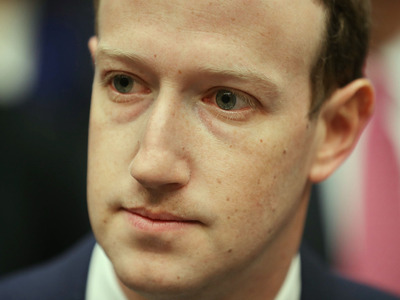 Not only did lawmakers scold Zuckerberg for his absence, but evidence was brought forward from a cache of Facebook documents the committee seized last week. Canadian MP Charlie Angus kicked things off by asking whose decision it was for Zuckerberg to “blow off” the hearing. When Allan took responsibility for the decision, Angus upped his rhetoric, painting Facebook as a reckless threat to democracy. Canada’s Bob Zimmer, who set up the International Grand Committee with the UK politician Damian Collins, laid into Zuckerberg for not showing up. “To not have your CEO sit in that chair is an offence to all of us,” he said. The lawmakers repeatedly savaged Zuckerberg for not appearing, and likewise, Allan was repeatedly told that he was not senior or knowledgeable enough to answer questions. He acknowledged it was “not great” that he, a member of the UK Parliament himself, was there and not his CEO. Belgium’s Nele Lijnen found the most inventive way to address Zuckerberg’s absence. 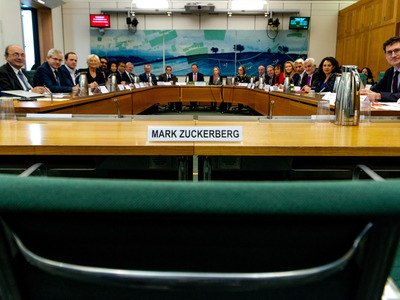 Gabriel Sainhas, House of CommonsThe committee left an empty chair for Zuckerberg. “Do you know the expression ‘sending your cat’?” she asked, momentarily confusing Allan. She explained that in Flemish, it’s an idiom meaning to not show up. This drew laughter, and Allan tried to play along. “I hope I am able to assist as a cat,” Allan said. “No, no, you are sitting next to the cat,” she explained. As the hearing went on, details emerged from a cache of Facebook documents that Collins had seized last week. The cache contains potentially explosive internal emails, which Collins obtained by exercising obscure parliamentary privilege on a software-company founder who was on a business trip to the UK. Collins said it was “ironic” that the press had described the app, Pikinis, as creepy, given Facebook’s origins. This was an apparent allusion to Facemash, a website Zuckerberg made in college that ranked women by their attractiveness. Zuckerberg told Congress in April that Facemash was not Facebook’s progenitor. Collins brought the first piece of evidence from the document cache to the table. “An engineer at Facebook notified the company in October 2014 that entities with Russian IP addresses had been using a Pinterest API key to pull over 3 billion data points a day through the Ordered Friends API,” he said. “Was that reported, or was that just kept – as so often seems to be the case – was that just kept in the family and not talked about?” Collins asked. The second piece of evidence that emerged from the documents concerned Facebook favouring apps that bought substantial amounts of advertising on the platform. Leopoldo Moreau, from Argentina’s Freedom of Expression Commission, was eager to know what Facebook was planning to do about WhatsApp. He noted that during the recent Brazilian presidential election, WhatsApp was used to disseminate mass amounts of false information with a political agenda. Argentina has a presidential election coming in 2019. Allan said Facebook was building WhatsApp into new “election task forces” that he said would monitor whether elections were being interfered with on Facebook’s platforms. “You can hurry up, because elections are coming really soon,” Moreau replied. Moreau also pointed out that Argentina had already asked to meet with Facebook after a report from Amnesty International found large account farms making fake identities, but Facebook’s Argentine office refused to give an answer and said it would send a Latin American representative – who never showed up.